Apollo Carreón Quiboloy is the founder and leader of the Philippines-based Restorationist church called the Kingdom of Jesus Christ, The Name Above Every Name, Inc. He has made claims that he is "The Appointed Son of God". The 67-year-old pastor describes himself as the 'Appointed Son of God' and his church, which was founded in September 1985, claims to have six million members worldwide, including four million in the Philippines. 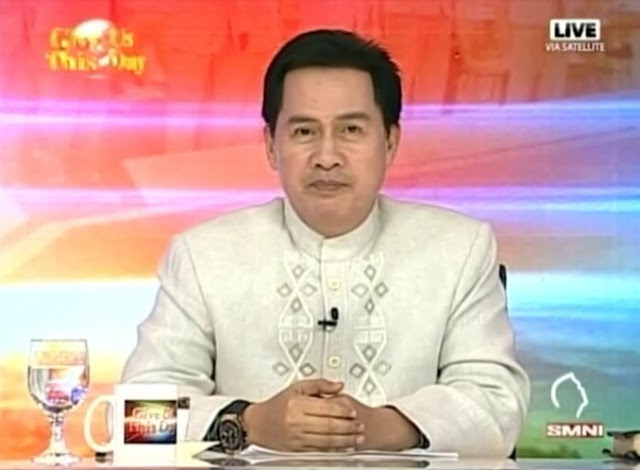 Quiboloy also claimed that in 2005, God made him his 'Appointed Son' and that he has been living a sin-free life from that time. Who are you to claim this planet? oh yeah? well I own the air, so every time you breathe, you owe me 25 cents.